Born in 1965 in Kyoto, Japan, Shinichiro Watanabe is a Japanese film director, screenwriter, and music producer. As a former employee of SUNRISE, he has supervised the episode direction and storyboards of many SUNRISE titles. 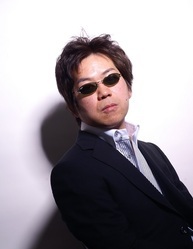 He made his directorial debut as co-director of Macross Plus. As a Director, he has worked on numerous high profile titles such as Cowboy Bebop (TV and Movie), The Animatrix - Kid's Story, A Detective Story, Samurai Champloo, and more recently Kids on the Slope. As a Music Producer, he has worked on such titles as Michiko to Hatchin and Lupin the 3rd - A Woman Called Fujiko Mine.